I devote this post to a commentary in the January 6, 2015 Wall Street Journal by Gerry Walpin, a highly-regarded New York litigator. His op-ed piece entitled “How To Stop a Class-Action Scam” can be found here. Gerry describes the abusive process now prevalent in filing suits objecting to corporate mergers or acquisitions. Virtually every corporate m&a deal is met by a private action, normally filed in state court, challenging the transaction. The calculation is simple: the plaintiff’s lawyer knows that completing the transaction is the company’s first priority and the cost of settling such a case is minor in comparison to the overall deal costs. So, with virtually no work, the lawyers can bank a fee for entering into a “settlement” that really does not provide any significant benefit to the company or shareholders. Usually, such settlements, being supported by all parties to the action, are rubber-stamped with the necessary court approval. The deal is completed, making company management happy, and the settlement payment of legal fees makes the plaintiff’s lawyers happy. It’s win-win, right? Well, maybe so, if you don’t consider the interests of the shareholders, or, perhaps more importantly, the public interest in avoiding such abusive scams. If you own any stock, you know the frustration of getting a notice announcing settlement of a lawsuit, commenced by a lawyer on behalf of a class composed of all shareholders—you included. The notice informs you that, under this settlement, you get nothing. What that really means is you get zilch but you must pay a pro rata share of your corporation’s legal expenses and of the legal fees for the lawyer who commenced the lawsuit—often millions of dollars. . . .
As soon as a corporation announces an asset acquisition or sale, the [plaintiff’s] lawyer finds one of his ready-plaintiffs and files a class action to stop the transaction. Such behavior is ubiquitous. As an analysis of merger litigation in the February 2014 Texas Law Review showed, the likelihood of a shareholder suit exceeds 90%. The defendant corporation, seeking to close the transaction and avoid costly litigation, accepts a quick settlement. Both sides agree to wallpaper the settlement with meaningless “supplemental disclosures,” supposedly to demonstrate that the plaintiff lawyer contributed something of value, and thereby justify his claim to millions in legal fees. Also, the corporation is forced to agree not to oppose the fee application. . . .
Case in point: On Nov. 10, 2014, I received a class-settlement notice regarding my Verizon stock. It concerned a September 2013 lawsuit commenced by a plaintiff’s lawyer filed only three days after Verizon announced its $130 billion purchase of Vodafone’s 45% minority stake in Verizon Wireless. The claim was that Verizon paid an “excessive and dilutive price” and that the company failed to disclose material information regarding the fairness of the transaction. Yet the proposed nonmonetary settlement was limited to supplemental disclosures that added immaterial minutiae about the transaction, and Verizon’s agreement to obtain a fairness opinion from a financial adviser for “any transaction regarding assets of Verizon Wireless having a book value . . . in excess of $14.4 billion.” Oh, and the plaintiffs lawyer sought $2 million in legal fees. . . .
[I] filed a 15-page objection with the court. . . . In my objection, I detailed my reasons for concluding that this settlement was not in the interests of the shareholders the plaintiff’s counsel supposedly was representing. Shareholders received nothing, while the plaintiff’s attorneys were to be paid $2 million, coming directly from shareholders. . . .
You can read an article in the New York Law Journal about Judge Schweitzer’s rejection of the settlement here. And you can read Judge Schweitzer’s opinion here: Decision and Order in Gordon v. Verizon Communications. 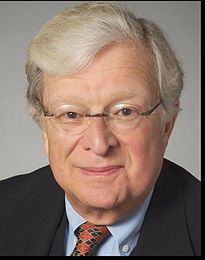 Of course, Gerry Walpin is an experienced securities litigator who knew what to discuss in his objection, and Judge Schweitzer is perhaps more likely than many other judges to direct a jaundiced eye at the collusive settlement placed before him. There was also another objector represented by counsel (Szenberg & Okun), who was reported as saying: “Lawyers should not be compensated for these type of actions and obtaining these useless settlements.” The plaintiff’s law firm involved was Faruqi & Faruqi, a common player in these cases. The state court judge is where the rubber really meets the road in these cases. Even without a well-conceived objection filed by a knowledgeable shareholder, the judges in these cases should be turning away collusive settlements that do little other than line the pockets of opportunistic plaintiff’s lawyers — with the knowing assent of corporate abettors whose minds are focused elsewhere. In the Verizon case, as Judge Schweitzer noted, the defense lawyers (heavy hitters Wachtell, Lipton, Rosen & Katz) were more focused on getting an extremely broad release of claims for the officers and directors than negotiating down the $2 million lawyer fees. Court approval of these settlements is mandatory before they can proceed, and more judicial diligence is needed to make abusive practices like these unprofitable for the lawyers. In some respects, the state of the law in this area is akin to federal securities class actions before 1995, when the Private Securities Litigation Reform Act was enacted to try to curb abusive practices in federal securities class actions. Before then, federal securities class actions were virtually assured whenever a company suffered a significant stock price decline. The statute made filing those actions a little more difficult. Today, there are fewer abusive federal securities class actions filed, although the frequency of such filings is still significant, and more judicial skepticism for such claims is needed. If state court judges are not willing to put the kibosh on the approval of extortion payments to plaintiff’s lawyers in order to complete these deals, statutory reform may be the only answer. That would be difficult, though, because it would require changes to state laws governing the filing of such claims. Delaware, the leading jurisdiction governing such corporate m&a transactions, tends to move through judicial, not legislative, reforms. The recent brouhaha in Delaware over apparent judicial willingness to accept corporate “loser pays” by-laws for derivative actions could be where these issues are thrashed out. But “loser pays” provisions won’t really do the job here, because it will be only the rare case that generates a judicial winner or loser, with collusive settlement being the norm. There may be no recourse other than increased judicial willingness to hold the settling parties’ feet to the fire before approving such agreements. Let’s hope that the state law judges will start earning their keep, as did Judge Schweitzer in the Verizon case. This entry was posted in Derivative Litigation, Private Litigation, Securities Law and tagged abusive derivative litigation, abusive litigation, class action, Farqui & Faruqi, fee awards, Gordon v. Verizon, Judge Schweitzer, lawyer, legal analysis, M&A litigation, merger litigation, plaintiff's lawyers, private securities litigation, PSLRA, securities, securities fraud, securities law, securities litigation, settlements, Szenburg & Okun, Wachtell Lipton, Walpin on January 6, 2015 by Straight Arrow.